2014 JAGUAR XJR: 550-HP LUXURY LEAPER! Flagship XJ sedan gets ‘R’ performance engine, mods and upgrades for 2014, and breaks cover next week at New York International Auto Show. 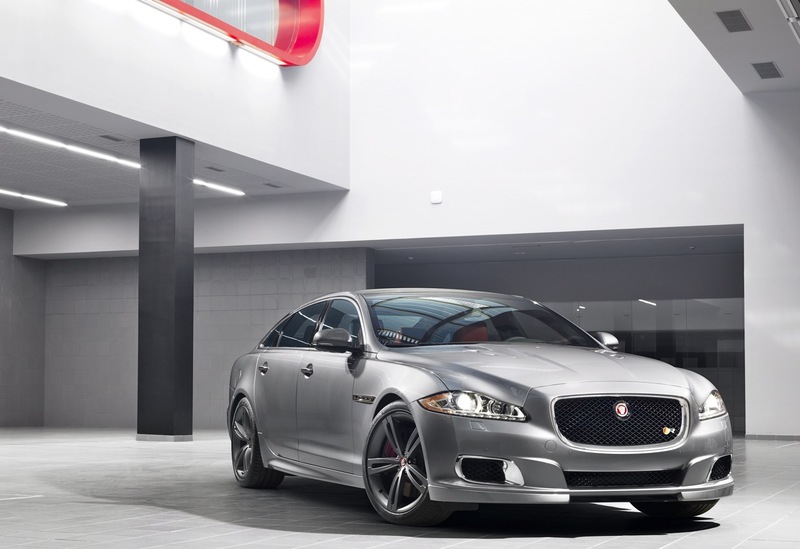 The 2014 Jaguar XJR will be the highest performance XJ sedan with 550 horsepower and a raft of other modifications, plus more than expected levels of interior luxury. Jaguar ‘R’ represents the highest levels of dynamic driving performance and attention grabbing design across Jaguar’s luxury lineup. Jaguar ‘R’ models start with the brand’s highest levels of power, backed by steering, suspension and braking enhancements, that have been tested at the company’s Nurburgring Test Center. Final touches include interior and functional exterior design that hints at the elevated dynamics that lie beneath the surface. “The growing ‘R’ performance lineup offers our customers the truly elevated dynamics and design, but in a Jaguar luxury package. The Jaguar XJR is a British performance machine that delivers emotionally and dynamically on the road and on the track,” said Andy Goss, President, Jaguar Land Rover North America.